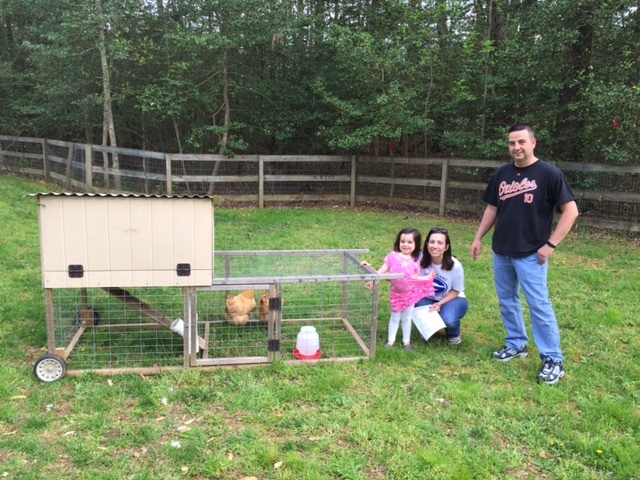 2015 Renters - Egg-cited to get started on their journey of keeping chickens and getting the freshest eggs they have ever had! 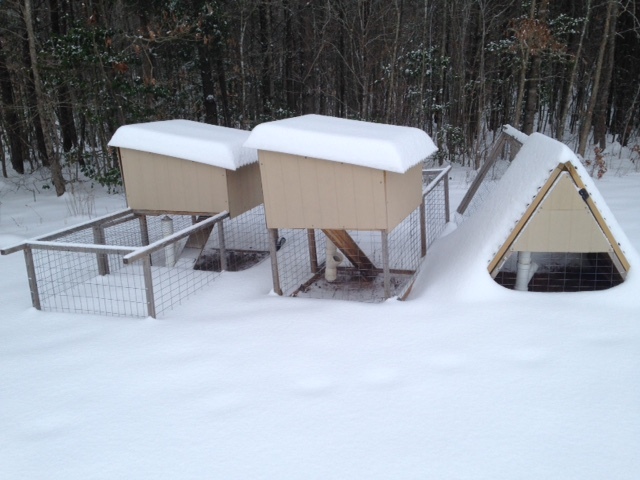 Standard coop showing the waterer and the ramp heading up to the roost and nesting boxes. 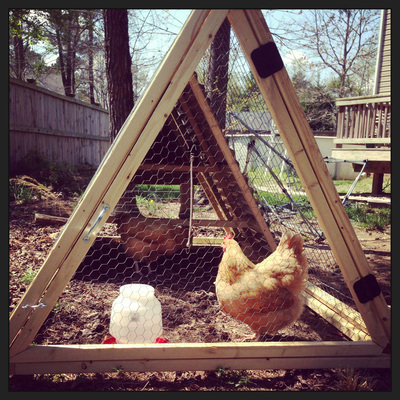 This coop is covered in 2x4 welded wire for predator protection. 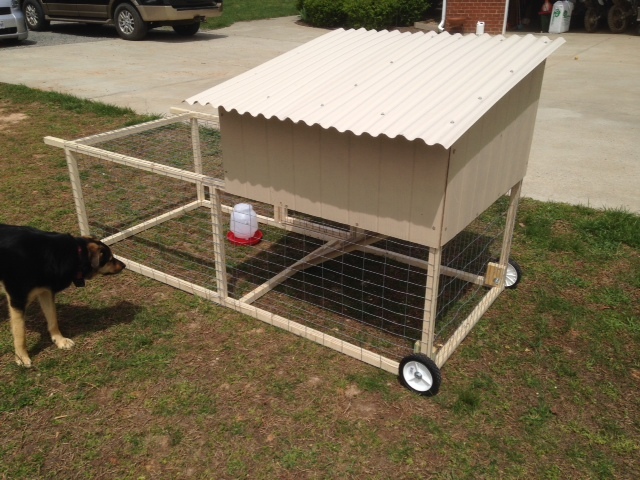 Back side of the standard coop. 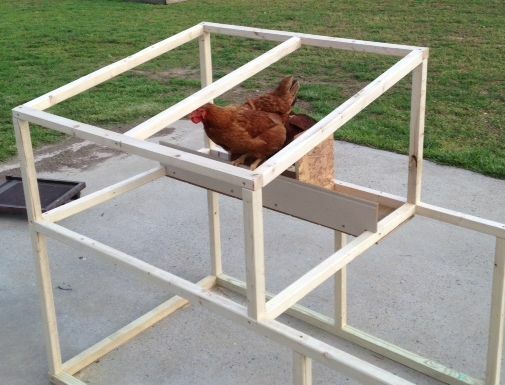 It uses a ribbed roofing material to allow adequate ventilation in the top of the nesting boxes and roost. Wheels are showing on the back end. 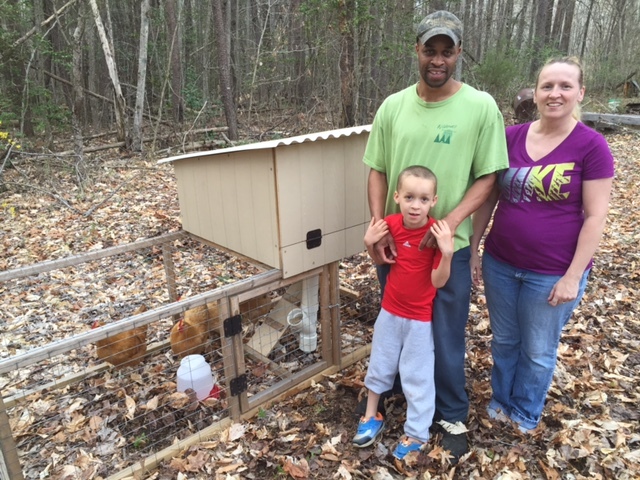 2015 Renters - Giving their children an opportunity to know where their food comes from. 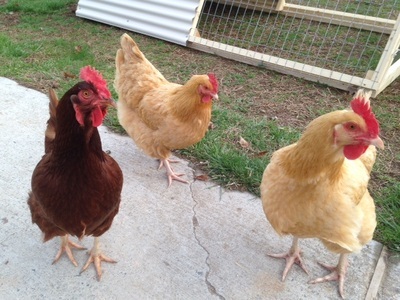 Letting the chickens scratch around out back. 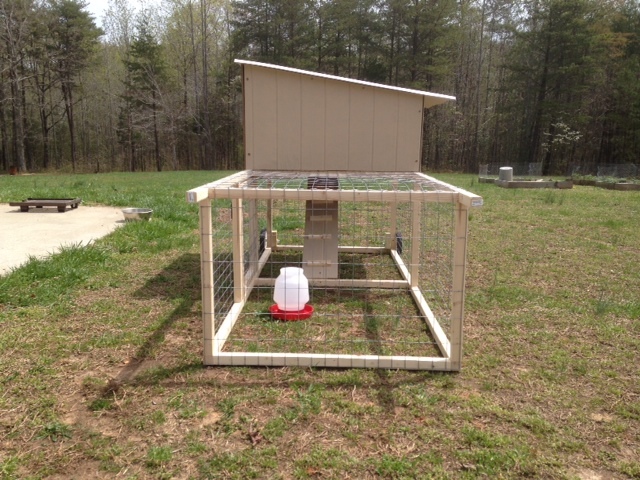 Standard coop showing the door on the front of the nesting boxes up above and the door on the run down below. Also shows the wheels at the one end and the handles at the other. 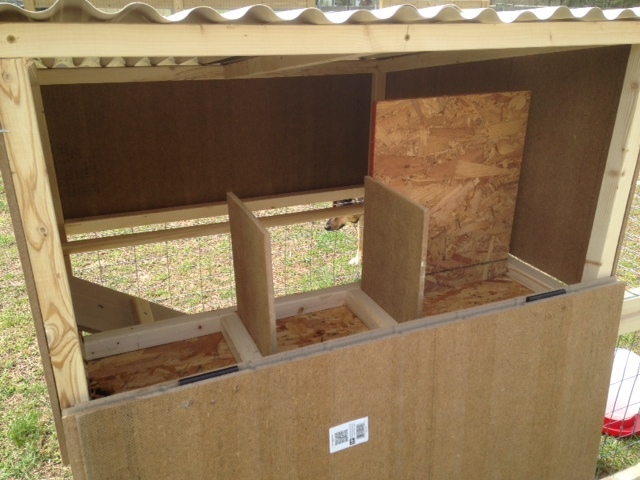 This is the inside of the nesting boxes. 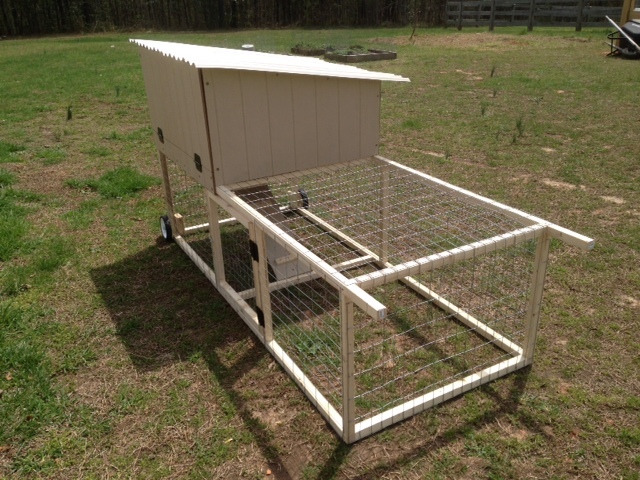 There are two nesting boxes and a small storage area for pine shavings or food. 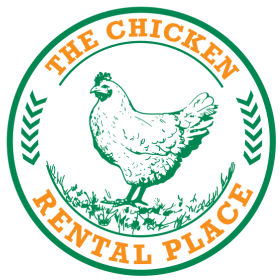 It also shows the roost towards the back. Two Buff Orpingtons enjoying their new home. Some hens curious what that thing in my hand is. Smile! It's a camera. 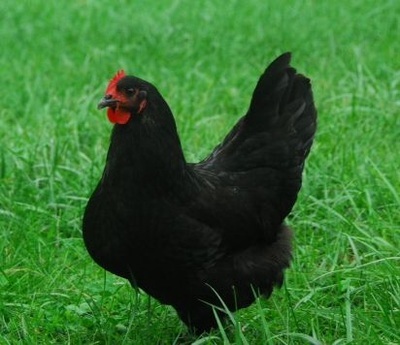 Black Australorp enjoying the green grass while free-ranging. 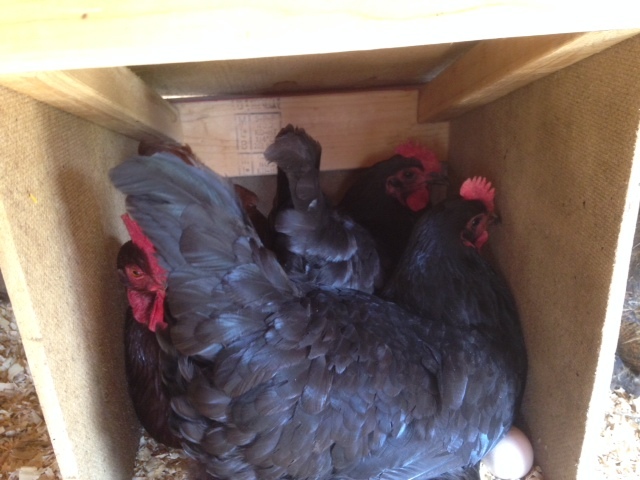 Six nesting boxes available, but three hens decide to use the same one...at the same time! A couple hens can't wait for the coop to be finished. They are ready to go. 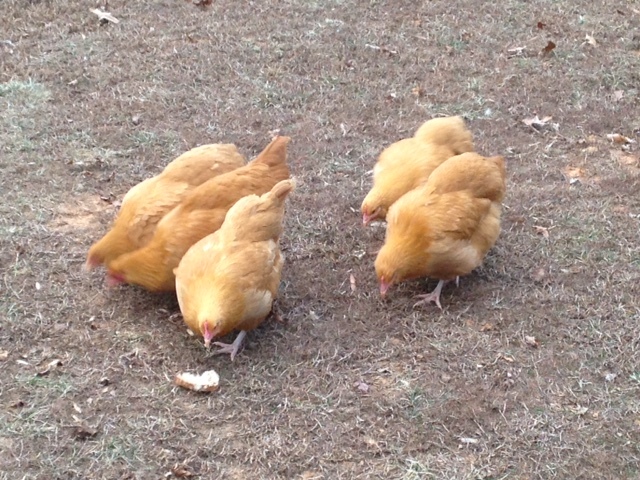 A few of the new Buff Orpington pullets enjoying a treat of old bread pieces. Rental coops waiting for spring to arrive. 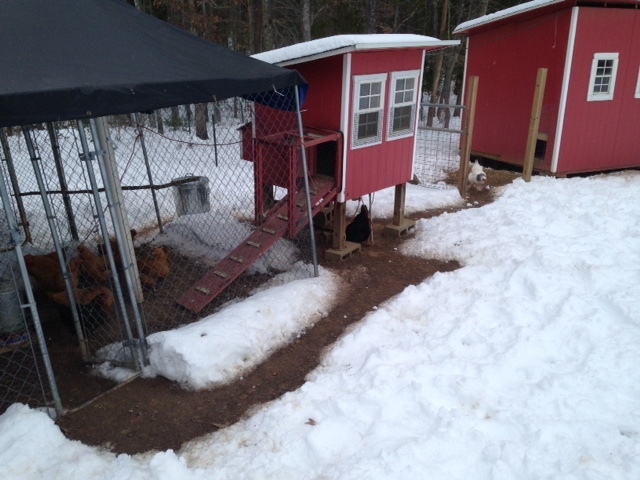 Hens enjoying the "sidewalks" that were cleared between the coops.